As the new year begins, many people will reassess their goals for success. To do that, most will lean toward using their influence to achieve success and realize their dreams and goals. 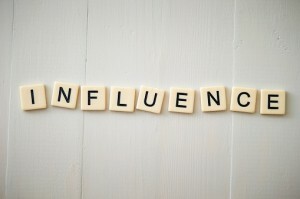 One powerful way to build success in life, both professionally and personally, is through influence. Influence is power, and gaining more influence in the workplace is critical in moving your career forward. But how can you achieve quantifiable influence? Several strategies can be used to harness this skill and use influence to create success. Trust creates and carries influence, and gaining the trust of co-workers is one of the fastest ways to use that impact to help cultivate success. Regardless of your position in the company or the position of your co-workers, being open and honest, no matter what the situation, builds a sense of trust. Leaders who share their concerns, don’t keep secrets, give credit where credit is due, and admit mistakes build influence by being regarded as trustworthy workers. Being assertive enough to speak up during meetings or sharing ideas is another way to build influence and achieve success. However, being assertive and being aggressive are two different things. To be assertive, present your thoughts and ideas with conviction and confidence. When you go too far with confidence, however, it can be taken as arrogance. When speaking with an unfamiliar group or on areas outside your expertise, be careful to temper your assertiveness with some humility. Don’t be afraid to apply assertiveness to all areas of life, not just work. As long as conviction and knowledge are present, being assertive can create a reputation of authority, which builds your influence with peers, employees, and customers. Those with influence generally also have the reputation of being consistent as well. Consistency translates to being reliable, and inconsistency is a sure way to ruin a reputation. This means you are known for executing tasks effectively and on time, every day, developing a reputation of reliability. Consistency is invaluable when it comes to building influence. People flock to those who are known for a good work ethic, while unpredictability can scare and worry those in decision-making positions. Although being assertive is vital to using influence to achieve success, have an open mind to other people’s ideas and be willing to change your opinion when presented with new or different evidence. Being too stringent or stubborn can create a reputation of being immovable or hard to work with. Others want their opinions and ideas heard as well, and those who are not flexible or open to others’ thoughts lose their overall influence and the respect of co-workers. Show flexibility while still holding on to core beliefs through calm negotiation or compromise. Work with others to find a mutually acceptable solution. This increases influence because if others perceive someone as being open and flexible to new ideas, they, too, become more open and flexible. For those in a leadership role, being perceived as easy to get along with and personable goes a long way. Those who isolate themselves or who do not share personal ideas can be perceived as stand-offish or as unapproachable. Influence, at its heart, is based on others’ reactions and opinions. Influence based on fear or loathing creates a toxic atmosphere, but influence based on likeability and trust is conducive to a successful and collaborative environment. Personal exchanges with employees and coworkers will help them relate better and feel more comfortable when discussing a new idea. This does not mean building lifelong friendships or betraying secrets, but if other people see an influencer as an approachable person on the team with a real personality, they are likely to be more receptive to constructive criticism. To be successful this year—whether it’s raising capital, convincing others to support a cause or having more responsibility—influence will be at the center to achieving success. 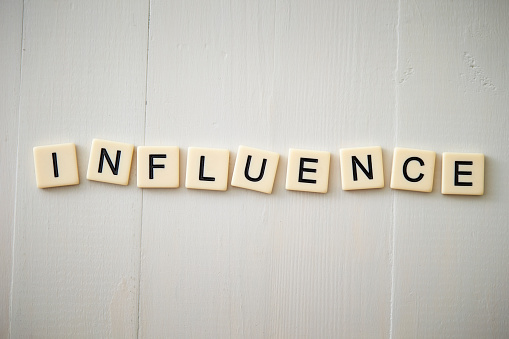 Influence based on trust, consistency, assertiveness, flexibility, and personality will positively steer relationships, careers or resources in the right direction. Gain influence, and people will follow. Next Post Poll: How Do You Track Your Goals? I concur. Very insightful. Some people are actually silenced or attacked because they do just what has been suggested. Ten steps ahead, you’re a martyr. Five steps back and you get dumped. So, don’t run with the pack and always watch your back.